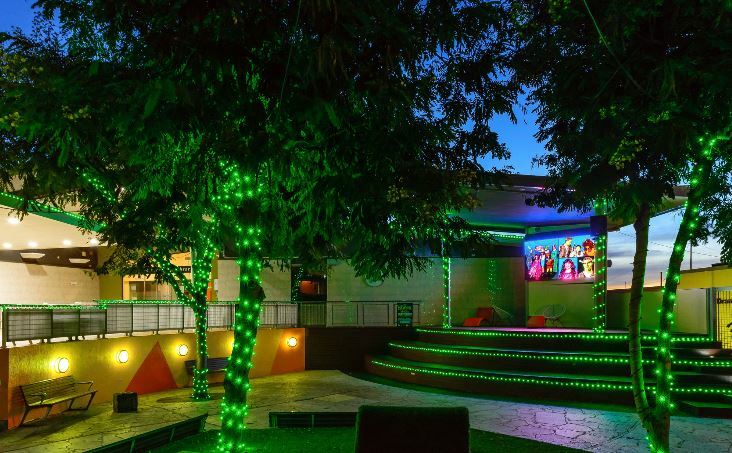 Council’s main administration centre at 101 Goondoon Street and Library Square were illuminated green on Saturday to celebrate the popularity of Gladstone’s 2018 Combined Schools Musical, Shrek, The Musical. Mayor Matt Burnett said lighting some of Council’s Goondoon Street areas green on Saturday night would add to the community excitement that is building for the first performance of Shrek, The Musical. Councillor Cindi Bush said excitement was growing for Shrek, The Musical with days remaining until the first performance. 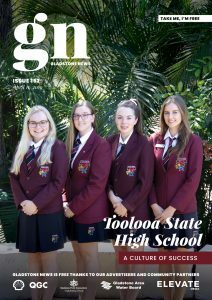 “This year’s stage production signifies a magnificent milestone for our community marking 20 years of Gladstone’s Combined Schools Musicals,” Cr Bush said. More than 5000 people will attend performances at the Gladstone Entertainment Convention Centre from March 12 to 18. “The response to Shrek, The Musical has been outstanding and is a reward for the many hours of rehearsals by the 87 cast members from 18 of our Gladstone Region schools and behind-the-scenes work by their families, production crew, and volunteers,” Cr Bush said.